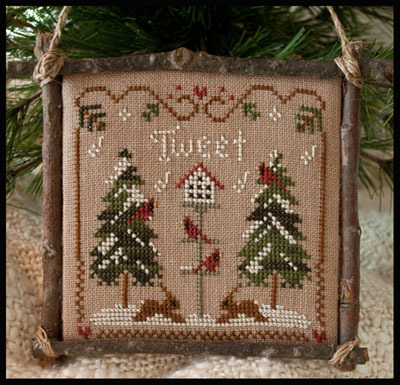 From Little House Needleworks, this is the first in the 2011 Ornament series. The 12 ornaments from last year were wonderful and are still available. Call the shop if you want to be on the automatic list to receive these each month--you won't want to miss any of them!